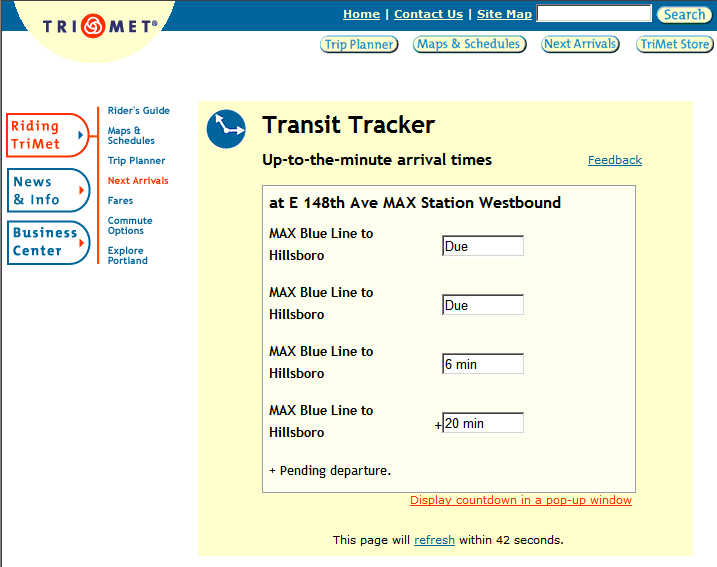 Screen shot of TriMet TransitTracker showing 2 MAX trains due at E 148th Ave MAX Station Westbound. It is actually not an error–I was listening to the police scanner on OregonLive.com and a train had broken down. The second train was actually on the (normally) eastbound track in order to get to the disabled train. NW Johnson St in Fareless Square? Future official TriMet rail map?